If you are looking to hire a lawyer, you’ll find no shortage of legal talent. The United States holds 5% of the world’s population and 70% of its lawyers. Law schools awarded 43,588 J.D.s per year on average, up 11.5 percent since 2000, and the United States boasts one lawyer for every 200 U.S. citizens. With a record number of practicing lawyers in the U.S., finding a lawyer for your legal needs is no easy task. The best way to find a lawyer is through word of mouth and referrals. Wide variations exist in the skill level and expertise of each lawyer so recommendations from friends and acquaintances are a good way to locate quality legal talent. The nature of your legal problem will determine the type of lawyer you need to hire. Most lawyers concentrate their practice in a few legal specialties such as family law, criminal law, employment law, personal injury law, bankruptcy or civil litigation. Therefore, it is important to retain a lawyer with expertise and experience in the practice area for which you require his services. Below are a few of the best resources available to help you find a lawyer that fits your needs. Word of mouth and referrals from friends, relatives, neighbors, business associates, and acquaintances are the best way to find a lawyer. These individuals have no vested interest, financial or otherwise, in recommending a certain attorney and can communicate any positives or problems they encountered in their dealings with a particular attorney or law firm. While it is tempting to hire a friend or relative for your case, this may not be your best strategy. If the friend or relative specializes in an area of law outside your needs, he or she may not be competent to address your particular legal issue. Another great resource for finding a lawyer in your area is your local bar association. Most county and city bar associations offer lawyer referral services to the public although they do not necessarily screen for qualifications. The American Bar Association also maintains a database which offers assistance to consumers seeking legal help. Lawyers can often recommend other lawyers in the legal community who can assist you with your specific needs. Legal circles are small and most lawyers will know several other lawyers who specialize in the practice area for which you seek advice. Lawyers are also aware of other lawyer’s reputations in a particular practice field. 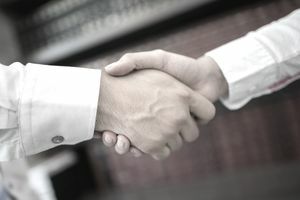 Keep in mind, however, that lawyers often receive referral fees when they refer a case to another lawyer which may influence their decision as to whom they recommend. Available at your local public library or law library, this directory of lawyers is an authoritative resource for information on the worldwide legal profession. Martindale-Hubbell also offers an online lawyer locator service which contains a database of over one million lawyers and law firms in 160 countries. To find a lawyer, you can search by practice area or geographic location. A number of for-profit directories on the Internet offer search vehicles through which you can find a lawyer. A few of these sites are lawyers.com, legalmatch.com, attorney.locate.com, lawyershop.com, attorneyfind.com and attorneypages.com. If you need a lawyer but cannot afford one, you can contact your local legal aid office, an organization that provides free or pro bono legal assistance to low-income individuals in non-criminal matters. Check the white pages of your telephone directory or type in “Legal Aid [insert the name of your county of state]” into an Internet search engine to find local legal aid providers near you. If you seek legal assistance, finding a qualified lawyer is only the first step. The next step is choosing the best attorney for your legal needs. For tips on how to choose the best lawyer for your case, see How to Choose a Lawyer.